The course is designed to give you knowledge and practical skills that will enable you to effectively communicate with all deaf people, using their own preferred language. You will also develop an understanding of how culture and environment as well as individual need informs these choices. 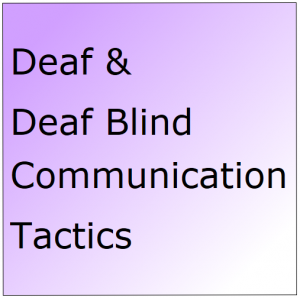 There is a formal assessment in your ability to identify the communication and environment needs of any deaf person and use of Clear Speech, BSL finger spelling, Block, DMA and the tactics for repairing breakdowns in communication. 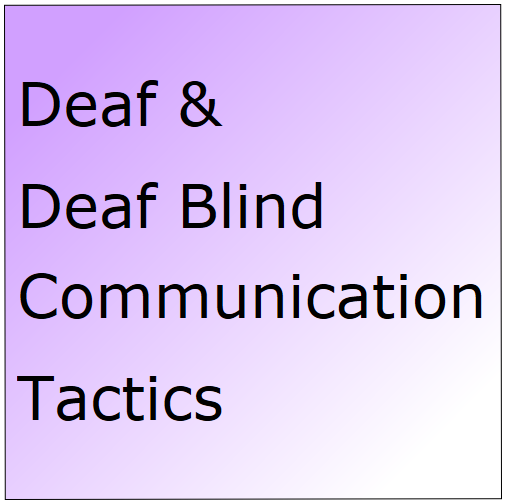 The course content compliments that of Deaf and Deaf Blind Awareness (K101). Successful completion of both units will achieve the DAC01 award in Deaf Awareness and Communication Level 1.